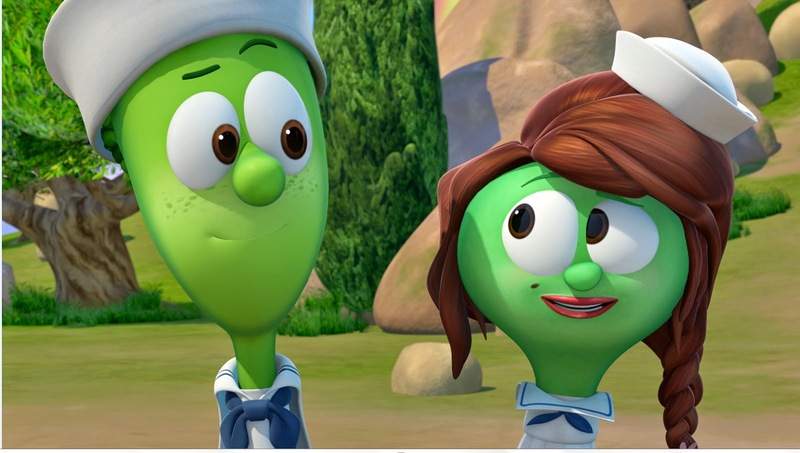 Carrots meet cubits as VeggieTales builds an ark filled with fun, adventure and important lessons about trusting God in NOAH’S ARK, its first Bible-themed production in more than four years. Starring Wayne Brady and Jaci Velasquez, along with Larry the Cucumber, Bob the Tomato and a whole crew of Veggies, NOAH’S ARK is available now! In NOAH'S ARK, Brady, the multi-Emmy® award-winning host of one of TV’s most famous game shows, Let’s Make a Deal, and star of Whose Line Is It Anyway, brings to life Noah’s son Shem, who first questions, then learns to embrace, his father’s direction from God. Christian singer, actress and radio host Jaci Velasquez co-stars as Shem’s wife, Sadie. In NOAH’S ARK, Shem and Sadie return home from their honeymoon to find that Noah (played by Pa Grape) has begun, at God’s direction, to work on a massive ark, which his wife Naamah (played by Madame Blueberry) and sons Ham (played by Larry) and Japheth (played by Bob) are helping construct before the start of 40 days and 40 nights of rain. But Shem doesn’t understand Noah’s unshakable faith in God, particularly when animals start arriving two-by-two – while the rain is nowhere to be seen. When the deluge does come, Shem begins to understand Noah’s determination to preserve humanity’s future … and the importance of trusting in God. NOAH’S ARK also features a brand-new “Silly Songs With Larry” segment, in which Larry dons a safari outfit as he goes on a quest for a gigantic, golden egg. 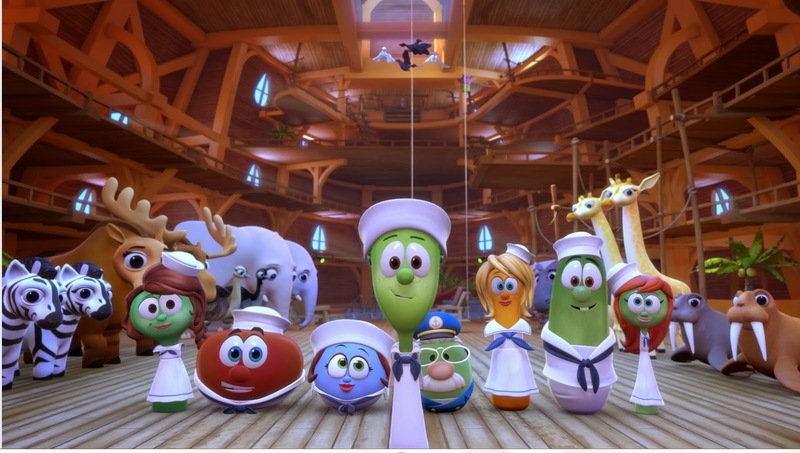 Less than three weeks after the DVD and digital download release of NOAH’S ARK, the VeggieTales excitement continues when five all-new episodes of VeggieTales In The House, the hit animated series, debut exclusively on Netflix – bringing the total of VeggieTales In the House episodes to 15 as the series continues its first season. We've been in love with Veggie Tales from the first video that came out! Yes videos! That is a lot of years of Veggie Greats. I love the way Veggie Tales helps my young ones learn the great stories from the Bible. 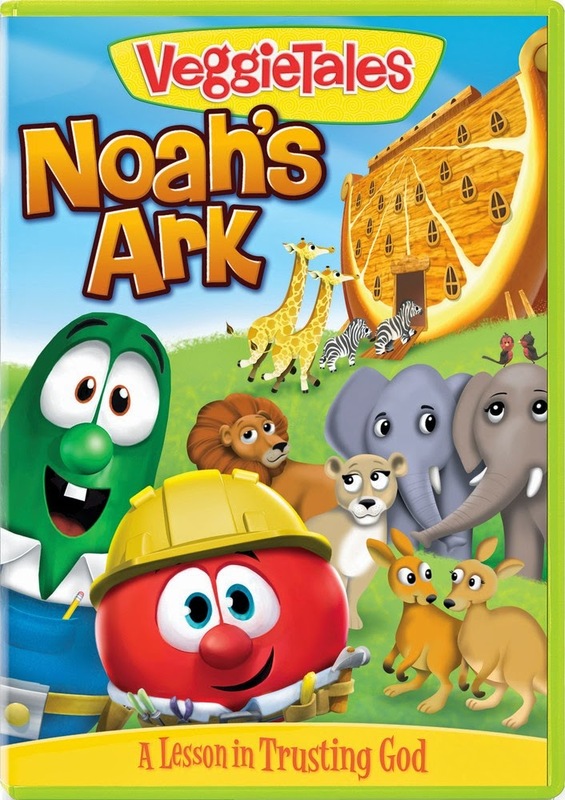 Noah's Ark is a classic Bible story and I was so excited to see Veggie Tales tackle it. Noah is so laid back and waiting for the Lord. Shem with his type A personality is trying to take things into his own hands after a long wait. Of course Shem's attempts at doing things on his own aren't successful. There were a lot of new songs in this show, lots of singing! My little ones liked that, the older ones not as much. No one ever outgrows Veggie Tales. Veggie Tales are a perfect gift for the upcoming Easter baskets! I would like to see The Beauty and the Beet Veggie Tales DVD and The Wonderful Wizard of Ha's Veggie Tales DVD with my grandkids. I'd love the An Easter Carol VeggieTales DVD for the kids. I really want to watch Beauty and the Beet! I would like to watch Beauty and the Beet!